A resume’s primary purpose is winning an interview. It is more of an advertisement and less of anything else you may perceive it to be. It positions you most ideally: it tells the employer, “If you hire this individual, these are the direct benefits that you will get.” In essence, it convinces the employer that – out of all the candidates – you are the best fit for the new job position. The right level of professionalism. It is easy to get comfortable and make your resume a personal statement or your history. Of course, it will reflect what you have done in the past; what makes the difference is how you tune it to stimulate your employer’s interest. Most individuals write a resume because they have to – they only do it to abide by the rules. However, when you bring the realisation that your resume may be your ticket to getting your dream job to your consciousness, you will be able to marshal the required enthusiasm to create a real masterpiece! The products that sell the most are the ones that have the best ads. The same principle applies to resume writing. When an employer decides to interview a candidate, the decision is usually based on a candidate’s overall first impression – deducted from his resume. This means that your resume’s top half will either qualify or disqualify you. Usually, the hiring manager – or the person interested in your resume writing skills – is an individual in charge of bottom line productivity of the company or group that you desire to join. This person is more interested in how well the job is done, not your personal experiences. Therefore, your resume should show how well you could address his needs. Try putting yourself in his position and reflect on the qualities he is looking for. If you are unsure of what qualities your prospective employer’s looking for, you can try to ask people working the same field or company for hints, or studying the “help wanted advertisement” you are interested in. If you still feel dissatisfied, you can call your prospective employer and ask him what he is looking for. Do not make guesses, if you do not address your employer’s real needs, you will not get positive feedback. First-class resumes have two sections: where you tell your employer what you have achieved, and where you back up your claims with evidence. The weightiest part is the first section – where you whet your employer’s curiosity. You should write this section so well that after he finishes reading it, he will instantly want to call you. This section’s purpose is picking your reader’s interest, not informing him. Usually, it has three parts: in these sections, try your best to convince your reader that you are the best candidate for the job. Your resume should state why you are the best candidate for the job. Briefly state the name of the position you are applying for and the qualities and achievements that set you apart from the rest. By the time you are writing “The Objective” section, you should be well acquainted with the skills and qualities required by your prospect – since you had researched them earlier. It’s okay to modify your resume to address different objectives. In fact, you may find changing some parts of your resume a necessary undertaking so that it corresponds to the position you are applying for perfectly. It is prudent to understand that your resume should be more like an ad and less like your history. This part focuses your reader’s attention to your most significant achievements, qualities, and abilities – it should capture your sterling qualities. These should be geared toward your employer’s needs, and tell your employer why you are a better choice. It is your opportunity to capture your reader’s attention and ensure that he keeps reading. Some employers only read this section; therefore, you should make it very strong and persuasive. Consider including characteristics such as energetic, passionate, exceptional interpersonal skills, works best under pressure, etc. Tie every word to your objective. In this section, you get into more detail. In the summary, you simply highlighted your high points, but in this section, you tell the aftermath of your story. Tell your reader what happened after you concentrated your efforts toward the accomplishment of a particular task, what you are good at, etc. Your goal here is to add more flesh to the highlights in your summary. In addition, structure your skills in order of importance: from the most important, depending on your career goal, to the least relevant. How you format and write your resume is more important than your qualifications and experiences. If you present or write it in poor taste, your chance of landing your dream job or even an interview drastically goes down. 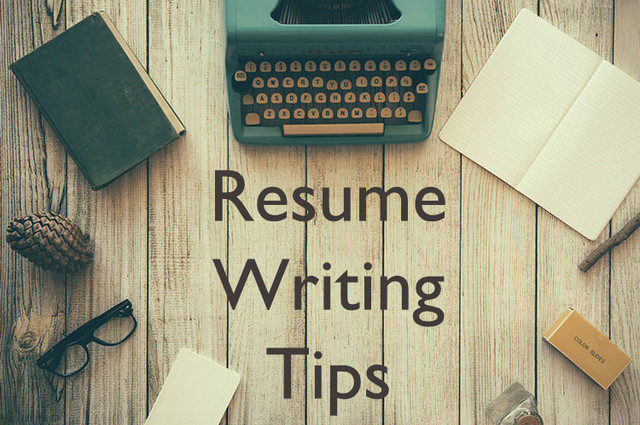 Resume writing doesn’t have to be a tiresome activity just because you are trying to look professional; consider using the above tips and tricks to make your resume more engaging and appealing to your prospective employer.